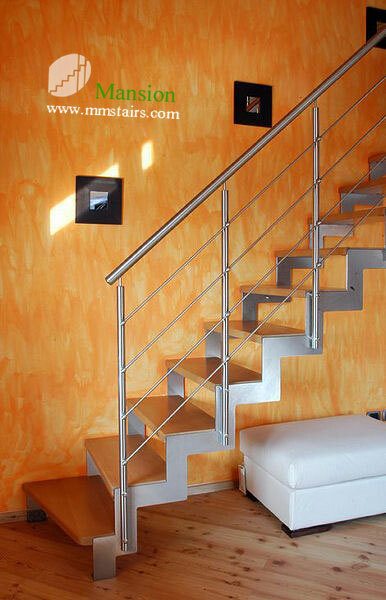 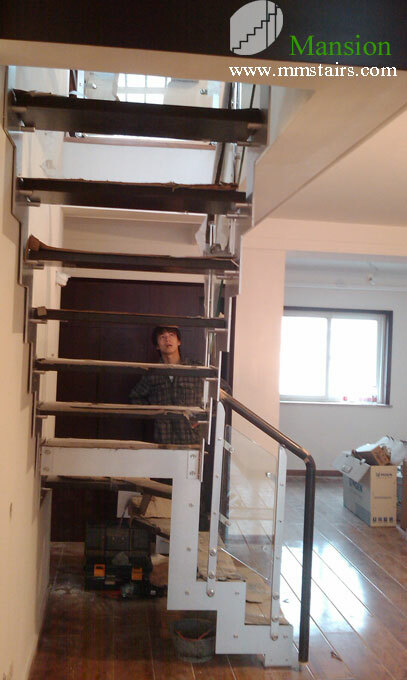 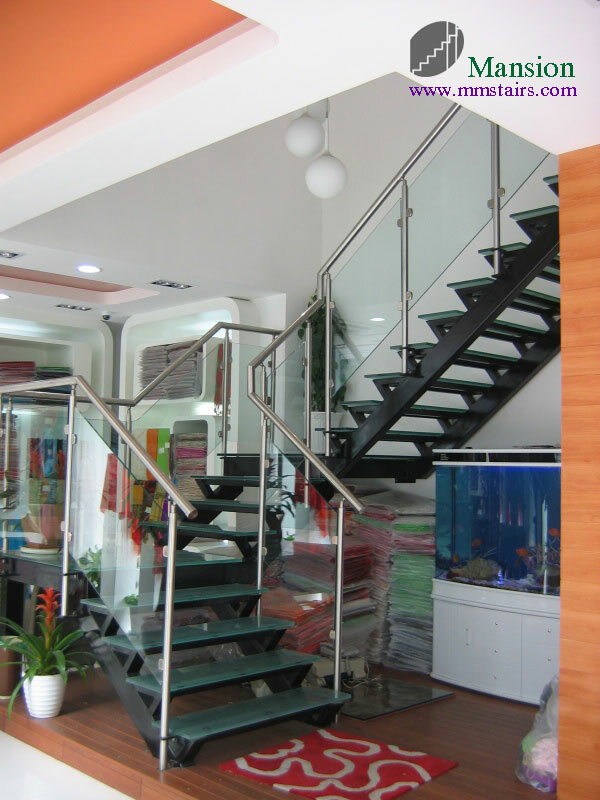 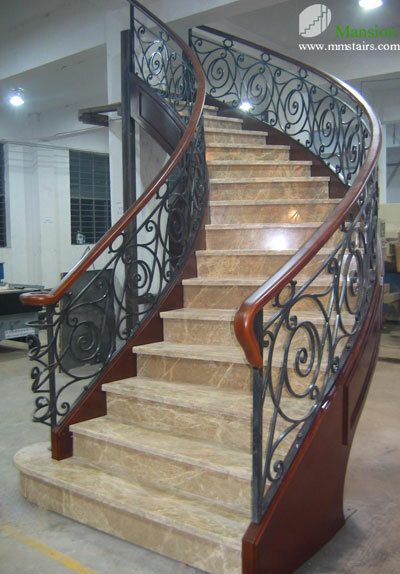 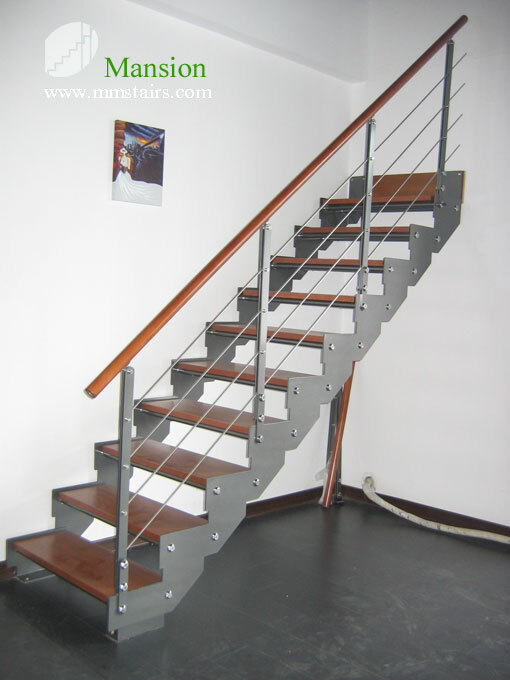 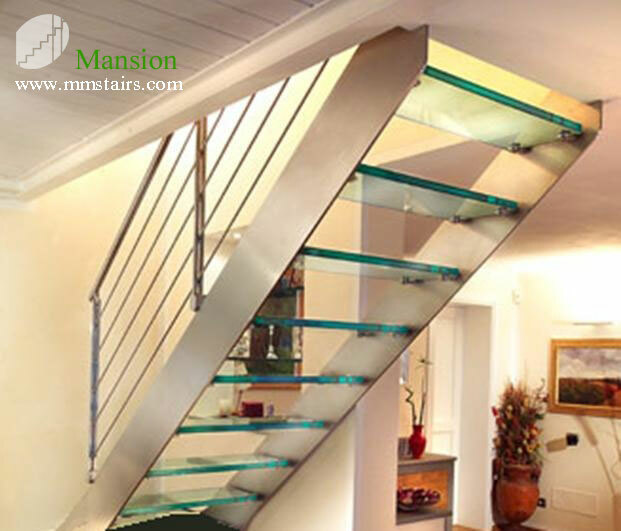 Steel Stairs with two stringers on both sides is most extensive used when build staircase. 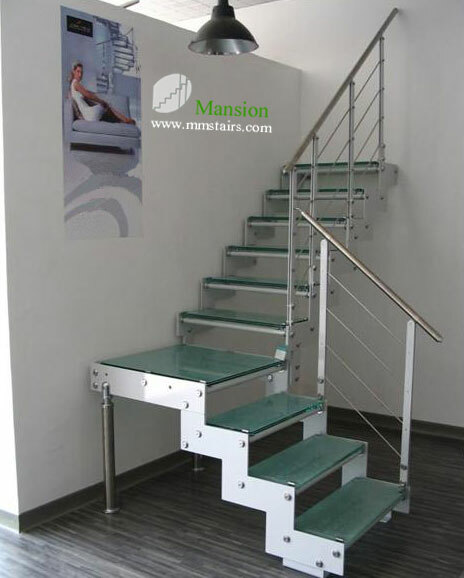 It can be in small size for small space, and surely also can be in big size as main stairs for villa foyer, hotel lobby, public application in office building or stores. 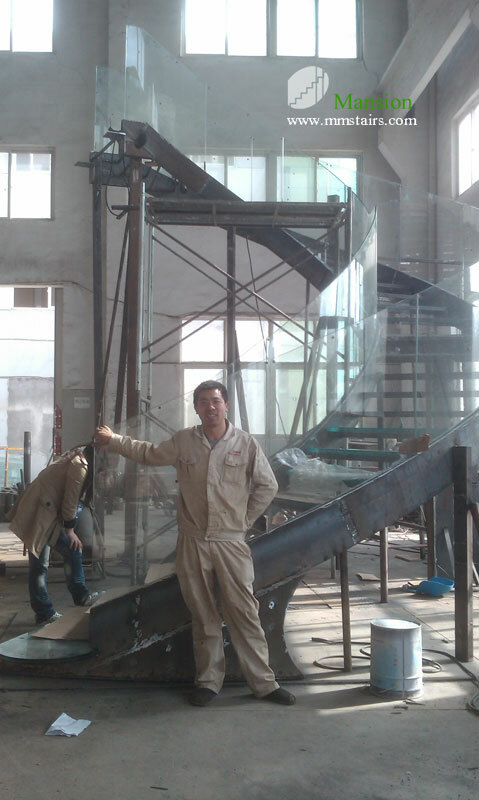 The side stringer (also called side beam) could be just closed, could be open with cut stringer into different shape like triangular shape, water-wave pattern, Zig-zag shape, even patterned modular pieces. 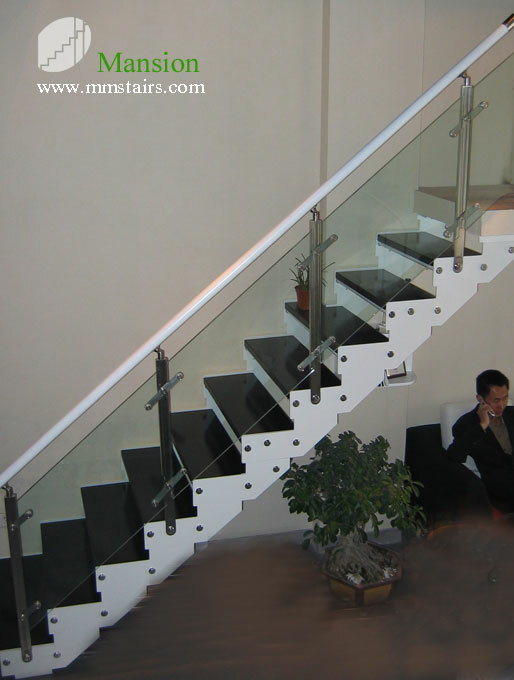 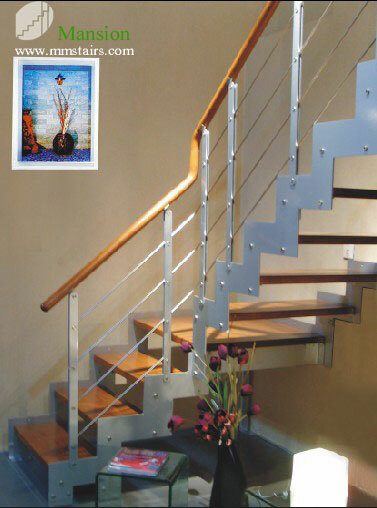 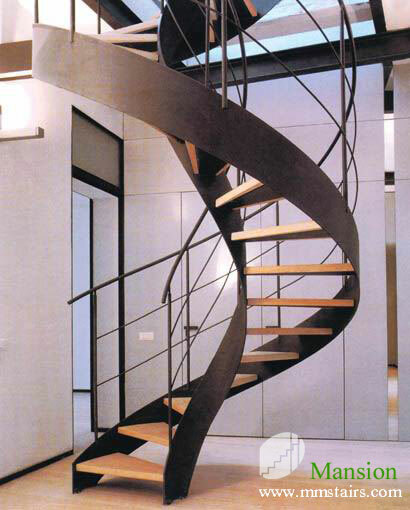 The double stringers steel staircase could work with glass treads, wooden treads, marble treads, metal treads. 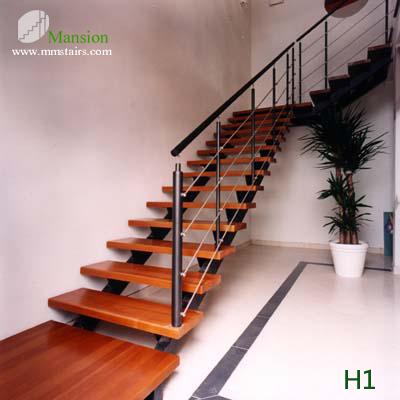 And could be configured with different type of balustrade: glass railing, stainless steel railing, craft iron railing. 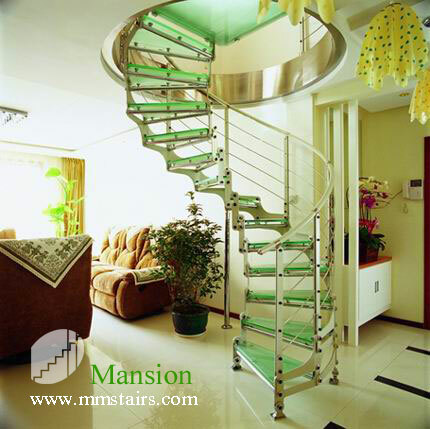 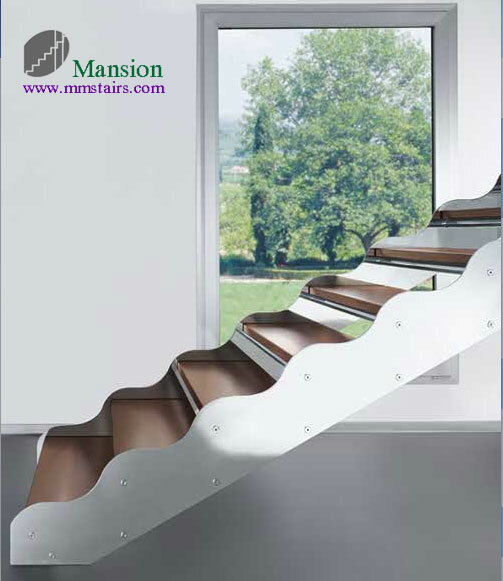 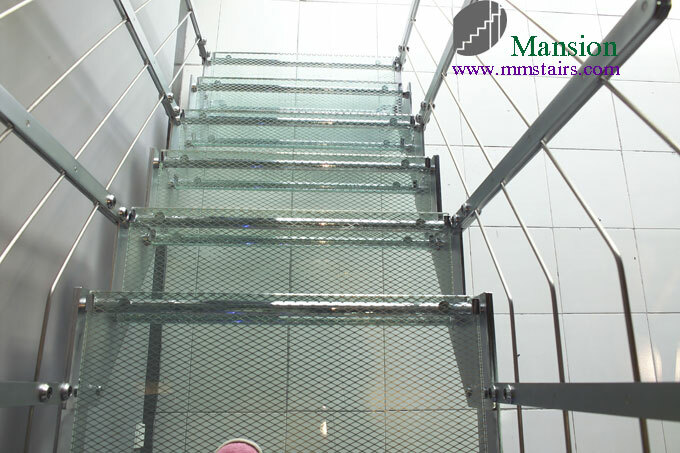 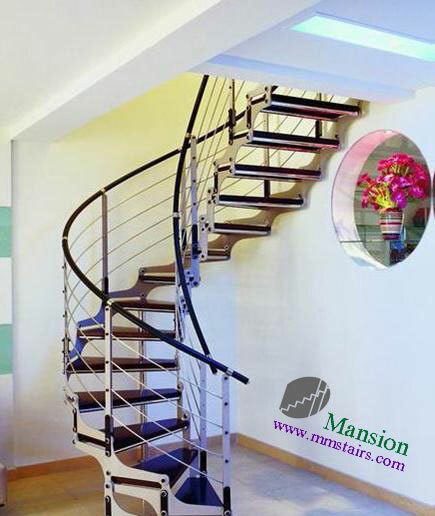 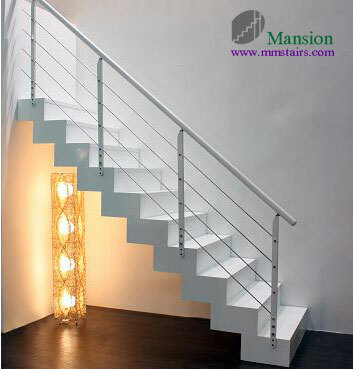 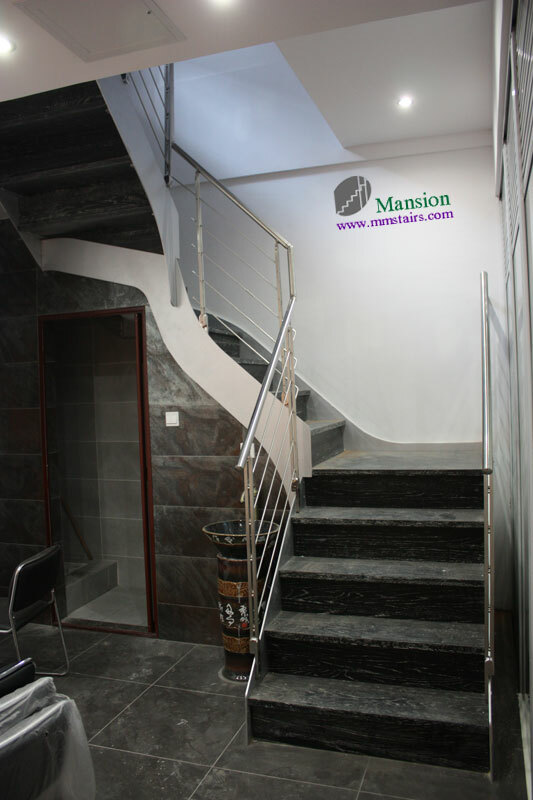 Welcome you follow us on MansionTM Blog: Stairs Words. 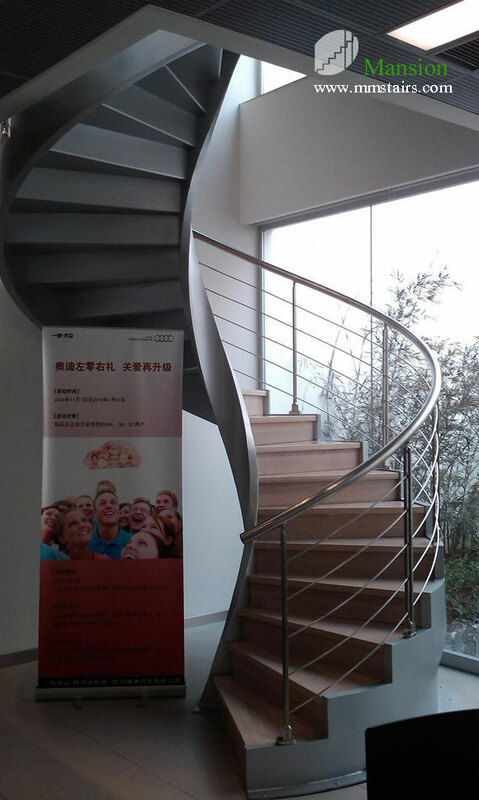 Any time, Any way, Heartly Welcome!